MILCast is our business unit that designs, manufactures and supplies precast concrete products for agricultural and other commercial uses. 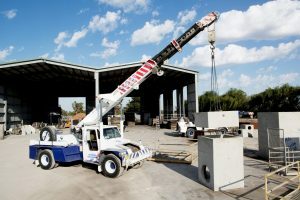 Based in Finley, New South Wales, MILCast has a strong reputation for providing quality precast concrete products at an affordable price. Please call our friendly team at MILCast on 03 5888 3051 to discuss your requirements or visit the MILCast website for more information. MILCast not only supplies local landholders and businesses, it has also been called upon to assist with large scale projects afar. Our pit products are one piece pours, with no construction joints, which come in a range of standard sizes to suit your needs, based on your pipe brand selection and control door requirements. The MILCast team can design made-to-order structures based on your specific needs, including pipe brand selection and control door requirements.